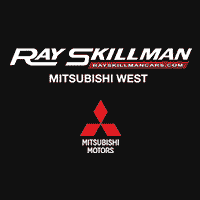 Whether you’re looking for the Mitsubishi dealers Indianapolis relies on for quality vehicles or are simply looking for a trusted Indianapolis auto dealership that houses different makes and models, Ray Skillman is your ideal choice for our wide variety of new and used vehicles. Our showroom brings together the best vehicle brands such as Mitsubishi, Volkswagen, BMW and so much more. When you take the time to visit our showroom, our dealers will personally assist you in finding the perfect car that suits your needs and preferences. For Mitsubishi vehicles, we have the best Mitsubishi dealers Indianapolis can offer to show you around and provide no-pressure sales assistance during your car shopping. When you do find your dream car but your budget falls short, our auto loans and financing department can help you apply for and process a car loan. We provide options that best suit your current financial situation so you can take home your desired vehicle in no time. Here at Ray Skillman, we make your car shopping experience hassle-free through our outstanding service. Contact us today at (317) 293-8060 and discover why we are the Mitsubishi dealer Indianapolis trusts and more.